Located In: City of St. Paul, Ramsey County. 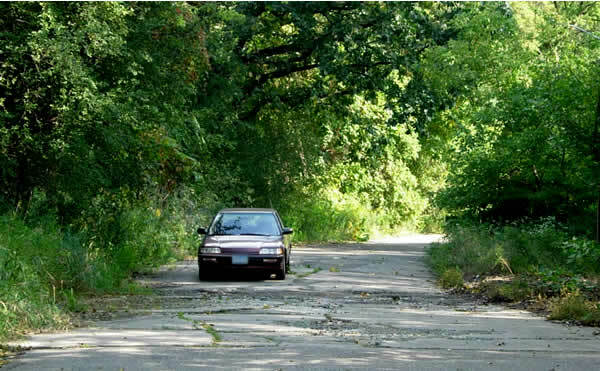 A nearly hidden stretch of Point Douglas Road just north of Battle Creek Park was once part of the original paved highway out of St. Paul towards Hastings, first marked as U.S. 61 in 1926. 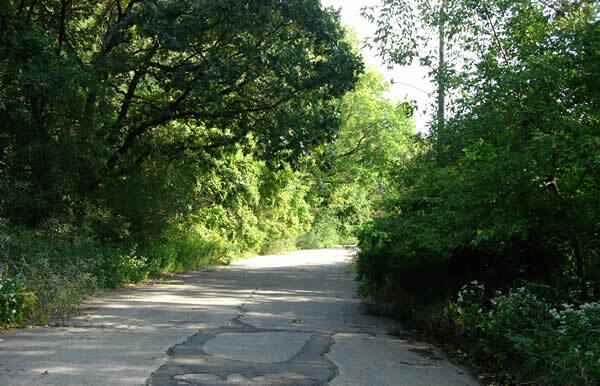 Point Douglas Road in the city of St. Paul was paved as a city street at some point before 1923. The pavement was concrete, 24 feet wide. 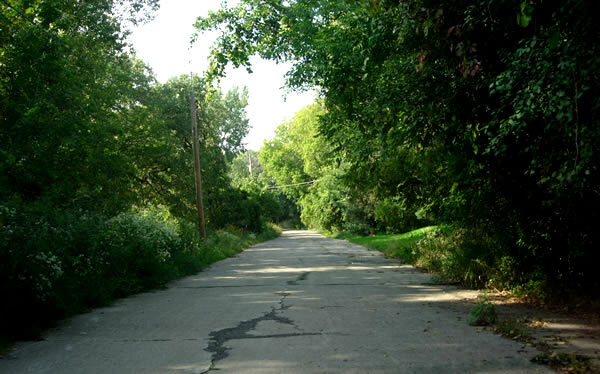 This section of the original road was bypassed in 1940 when U.S. 61/U.S. 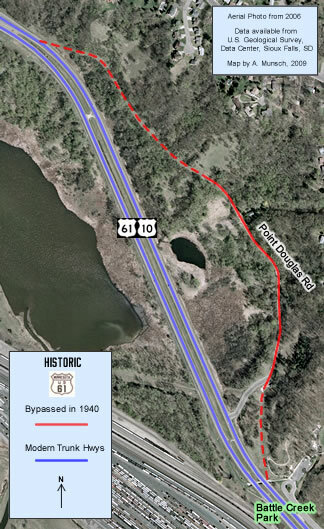 10 was upgraded into one of the first modern divided highways in the state of Minnesota, stretching from the junction with U.S. 12 (now I-94) to Highwood Avenue. It was left behind as a local street. 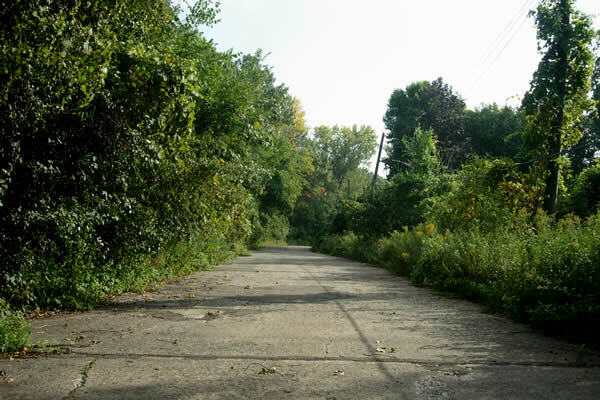 This segment was once much longer, connecting to the modern alignment of U.S. 61 on the north end, and extending southeast into Battle Creek Park as an alternate entrance. An access road connected the south end with U.S. 61/U.S. 10. 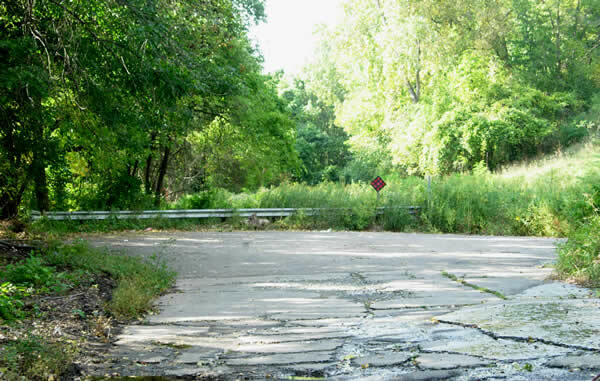 Plans were made to convert the old road into a multi-use trail as part of the reconstruction of U.S. 61/U.S. 10 in 1986. 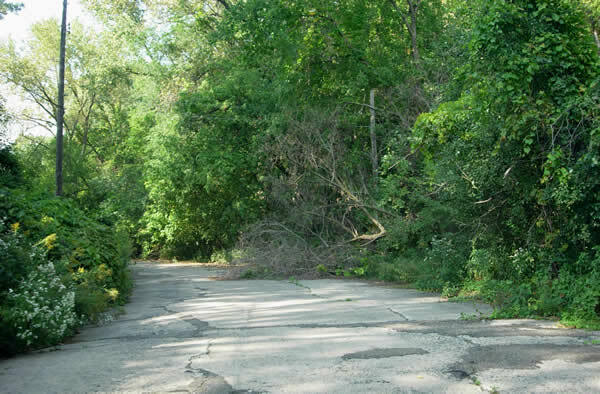 As part of the process, the north entrance to the road was closed to improve safety, half of the old concrete pavement was removed, and the park entrance at the south end was demolished. However, the construction of the trail never came to fruition. Today, the road ends on the north at a cul-de-sac. It provides access to one private residence as well as maintenance access for utilities at Battle Creek Park. 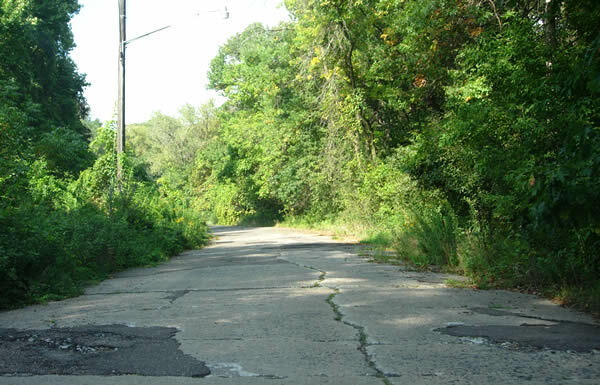 The original concrete pavement is still intact on the surviving portion, although in very poor condition. Although the street is public, getting onto it is rather dangerous. It is only accessible from the north-bound lane. There is no turn lane, and no warning signs, probably to keep the road free of unwanted traffic. Photo Tour - Photos were taken in September, 2006. On the surviving portion of the old road, looking north. A little further north up the road. Note the poor condition of the original concrete pavement. Another streetlight on the old highway. A fallen tree, partially blocking the road. 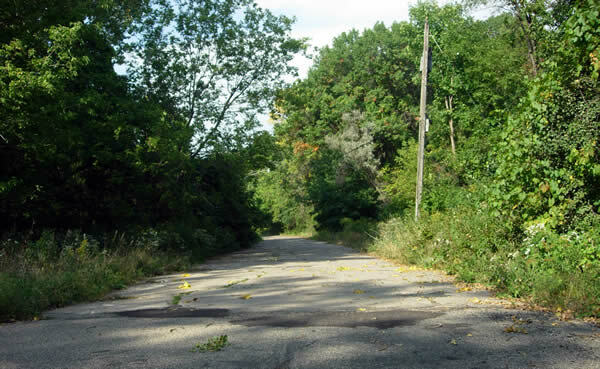 Possibly the old highway's only reason for existence: the well maintained lawn of the street's one remaining residence (just visible on the right). Looking north at the north end of the surviving pavement, which ends at a cul-de-sac, added in the mid 1980's. There was literally a stream of water running across the road in the foreground, accounting for the horribly broken pavement here. 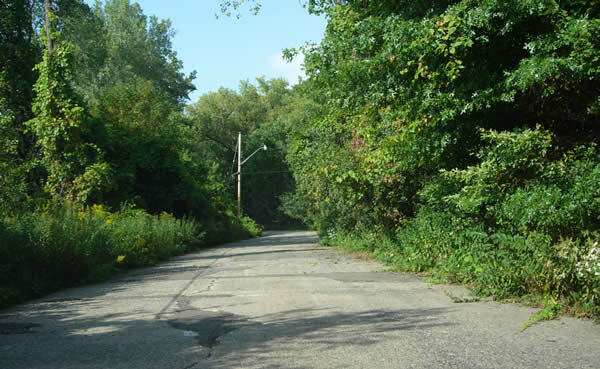 This was apparently a problem when the road was still in use as the main highway: a survey was made by the city of St. Paul in 1930 to correct this defect at another location south of Battle Creek Park. Looking back to the south towards the end of the pavement, with my trusty ol' Honda for scale. Looking back to the south. One last view to the south.